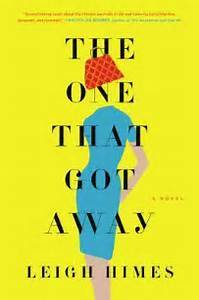 I have had the hardcover of “The One That Got Away” on my shelf for a year now, and every couple of months when I would do a shelf purge, it continued to make the cut and stay. (I am so intrigued by What-If stories) . Then this last week I received the new paperback cover from HachetteBooks, which released yesterday, and not only is it one of my favorite rejackets ever, it was what had me drop my current read and finally start reading it. .
I’ve got to say I related to that tired mama in character Abbey Lahey, who bought a $600 red purse one day just to remind herself that she was still Abbey, not just “Mommy” or “Mrs. Lahey”. (I actually started this Instagram account as a way to do something for myself that would remind me I was still ME after marriage and baby) But the truth is that Abbey can’t afford the bag with her husband not working much and the salary she brings in. 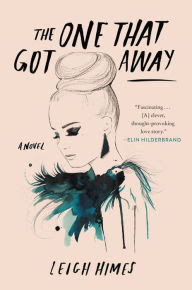 Its when she is returning the bag that she takes a fall and a hit to the head that has her waking up into the life that she might have had if she’d just said yes to the rich and handsome Alex van Holt all those years ago. This is one of those comfortable reads where you already know where the story is going to go, but I have to say as a mama, a wife, and a working woman there were parts of this story that were SO relatable. I actually would love to do this story as a book club just to discuss it with other women. So if you ever need a “chick flick” type read and you love a “what if” story, I think this is a fun and easy read! . We’ve already played the “would you change the past” game when I talked about the book "Dark Matter”, so today I’m just going to ask you to tell me one thing you splurged on because you just had to have it!